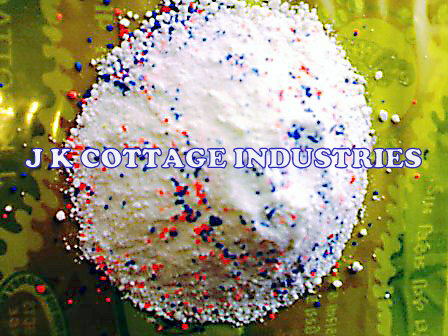 We at J K Cottage Industry offer different type of Washing Powder, which would make Washing Powder, Shampoos and Soaps less damaging to the environment. Our Washing Powders are developed from a new complex chemical reaction, which would produce a range of molecules that could replace the petroleum-based chemicals used now in many, cleaning materials. Colour guard – protects the Colour of clothes from fading. Protect – the hands and gives gentle wash.
Optical Brightening agent is also added.